The use of torrent is always going to be a fairly contentious issue and the makers of this application realised that. So much so that before you actually get to run the application you are presented with a nice clear warning to let you know that whatever you do is that your risk and not theirs. Traditionally with torrent files if you wanted to watch the video you would have to wait until the whole file is downloaded. with popcorn it buffers enough of the video to get you going and continues to not only download but also seed in the background. Once the entire file has poor dying popcorn stores it in a location that gets deleted upon the next reboot. At least that’s one way to make sure that your hard drive doesn’t get cluttered up with “free movies”. Incredibly well. I do recall coming across some programs like this in the past whose names have escaped me but they never really seem to work. Either you are left waiting an extraordinarily long time for the torrent to come down at the interface was that bad you actually didn’t want to use the program. When “streaming” a movie with Popcorn, you’re actually downloading it whilst seeding it at the same time. Once the entire files been pulled down. the app buries the file inside of a folder that’s set to delete any contents when restarting. This does help fight against downloading and then burning to disk and cutting out having to fully wait for a full download before watching. Popcorn works really well, really, really well. Obviously it does depend on the speed of your broadband but if you have anything resembling close to a decent connection you will find popcorn more than usable. Buffering ranges from between 15 seconds to 1 minutes on my 7 Mb connection. The quality of the stream is no different than if you had downloaded the entire movie completely. You really are at the mercy of the quality of the torrent Which as you know if you travel in the circles can often be a little bit hit or miss. Popcorn has a FAQ that covers this topic in a decent amount of information. Obviously if you travel in the circle of torrents it will all make sense to you. I have to admit that before trying the application I was pretty sceptical. I’ve seen the programs like this in the past promise something similar but they never really delivered or the interface was just so god dam awful you didn’t want to use it anyway. I’m really glad to report that it works, it works really well. Obviously it depends on the speed of your broadband connection but for me buffering took anything from 30 seconds to 1 minute before the movie actually started playing. 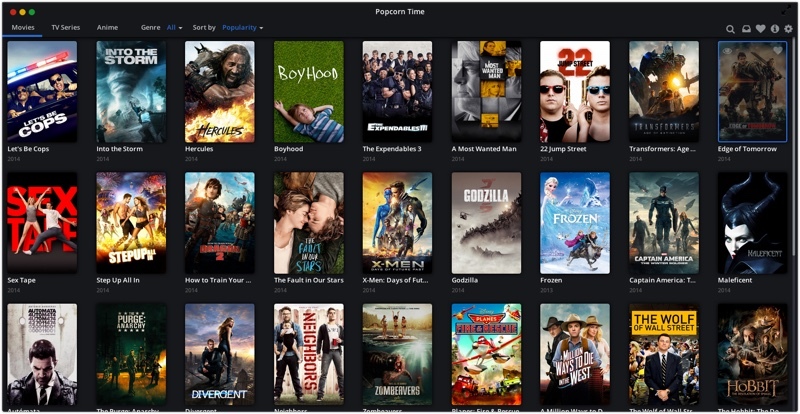 1255pm (GMT) PopCorn Time is no longer available for a download from the Mega Site. See the tweet below. Also it appears you’ll need to use a VPN or proxy to get the best from things. 21:30 hours: good news. All of the download links been restored. 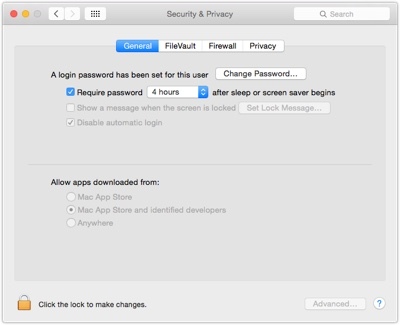 If you have security enabled within Mavericks you will need it to allow any application to run. This is done in security settings. Stuck on the Please Wait Screen? If you take a look in the FAQ it seems that this could be a anywhere but in the USA problem but thankfully the fix is easy. You just need to use something like UnoTelly or HideIPVPN and that’ll get rid of the please wait problem. Well that was a short lived run. Popcornti.me has closed its doors unfortunately. The “experiement” came to an end with this final message. Updated. 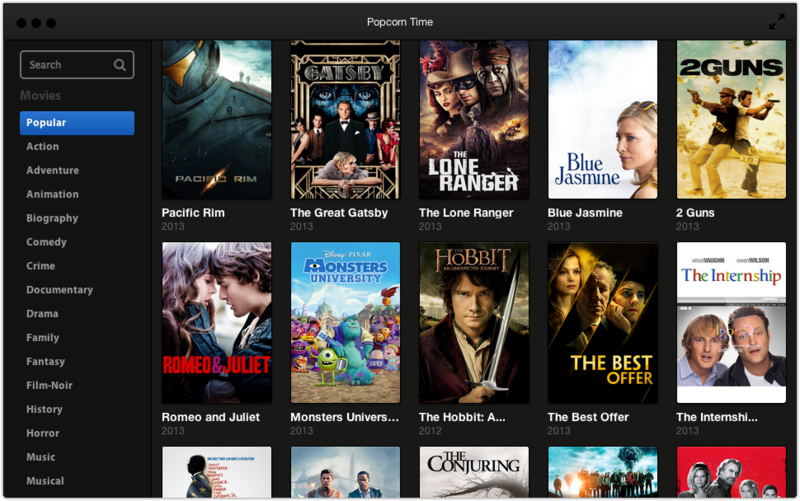 You can now install popcorn time for iOS without the need for jailbreaking. 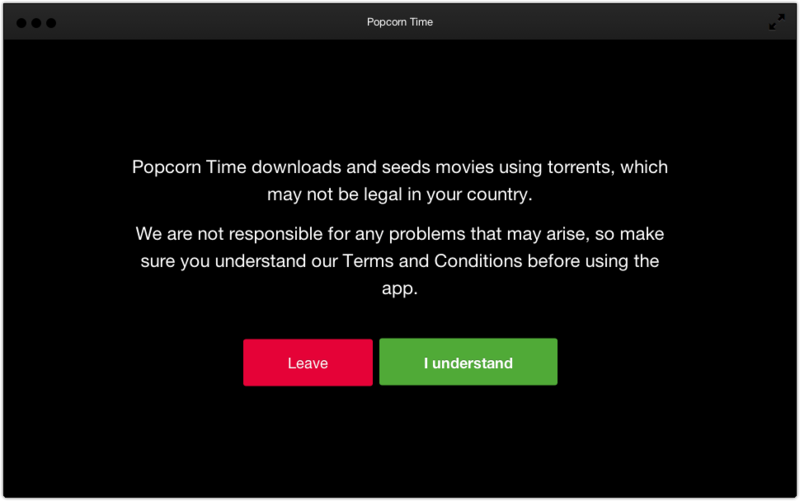 Our guide on installing PopcornTime without jailbreaking is now online. 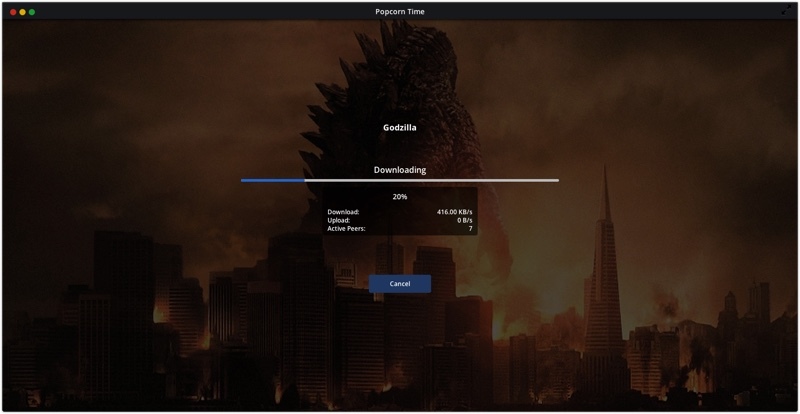 Popcorntime.io is now the new place for Popcorn time. 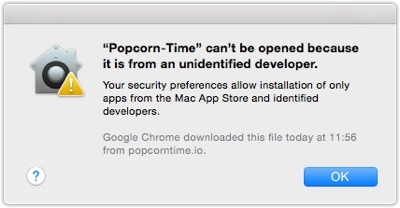 When you download it you’ll get the message “Popcorn-Time can’t be opened because it is from an unidentified developer. To fix this goto system preferences and them Security and Privacy. Click the button that says open Anyways. You Will need the option Allow Apps Downloaded from and then the 2nd option in the screen shot. If it’s not selected click the Padlock to make the changes. 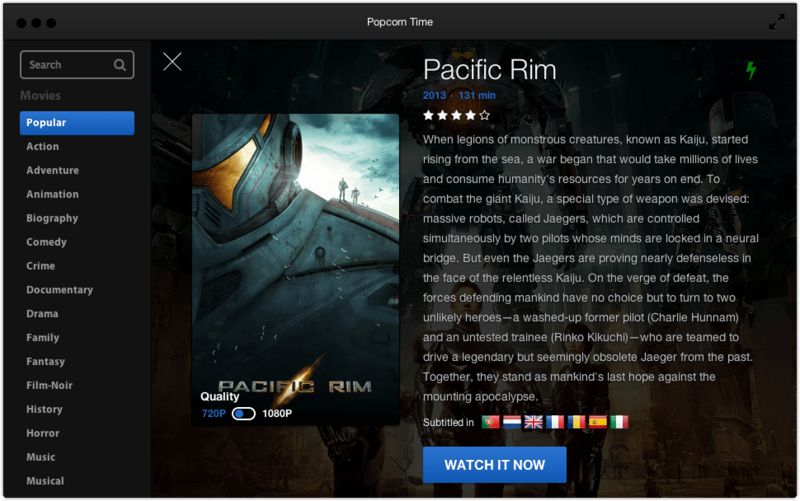 And once you’ve done that you’ll find you can launch PopCorn-Time and be presented with a list of content ready to stream. This is because you live outside the USA so you’ll need to change you’ll need something like UnoTelly (reviewed) which makes your mac look like it’s in the USA and gets around such restrictions. I’ve been a personal user of UnoTelly and it’s been fantastic to watch shows in the USA and use services like this from right in blighty.